PERFORMANCES, WORKSHOPS & LECTURES from faculty, student and professional artists. MASTER CLASSES in contemporary technique, ballet, social and popular dance forms, somatic practice, and more. AUDITIONS for college, university and summer dance programs. SPECIAL SOCIAL EVENTS including an opening reception, ice cream social, and evening dance party. A COLLEGE FAIR where students can speak with dance faculty & teachers from colleges & university dance programs. Dates for the 2021 Regional High School Dance Festival will be announced soon. In the meantime, questions can be directed to Karen McShane-Hellenbrand via email at kmhellen@education.wisc.edu or by phone at 608-262-3679. Note that studios are not eligible to attend this festival. The Regional High School Dance Festival is under the direction of the NHSDF (National High School Dance Festival). 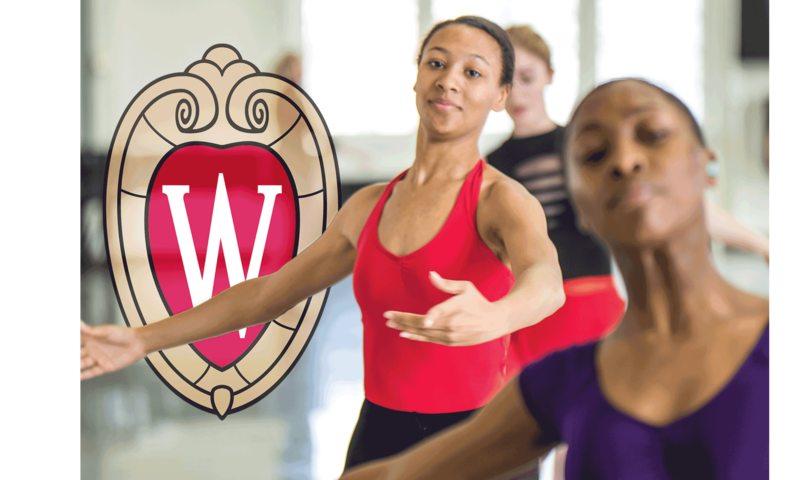 The University of Wisconsin – Madison, The Governor’s School for the Arts in Norfolk, Virginia and the Vancouver School of Arts and Academics in Vancouver, Washington host Regional Dance Festivals in odd numbered years. The next Regional High School Dance Festivals will be held in 2021. The University of Wisconsin-Madison is located in the heart of Madison, WI, the state’s capital city. The campus spreads out along Lake Mendota, encompassing wooded hills, friendly shores and lively city streets. Madison offers the perfect combination of natural beauty, stimulating cultural offerings, outdoor recreation, distinctive restaurants, unique shops and vibrant nightlife. The university’s location in south central Wisconsin makes for convenient access to Milwaukee (80 miles), Chicago (150 miles) and Minneapolis (270 miles). Daily buses serve all three cities. To learn more about Madison, go to www.visitmadison.com. Madison is the capitol city of Wisconsin, home to the University of Wisconsin-Madison, one of the top public research institutions in the nation and repeatedly ranked one of the best places in the U.S. to live, study, work and play. Madison is a naturally beautiful city and a vibrant cultural hub of art, music, food, and outdoor activities. The city is abundant with eclectic coffee houses, trendy farm-to-table restaurants, microbreweries, and the famed Dane County Farmers Market, which stretches the entire Capitol Square. Go to www.visitmadison.com for more info.